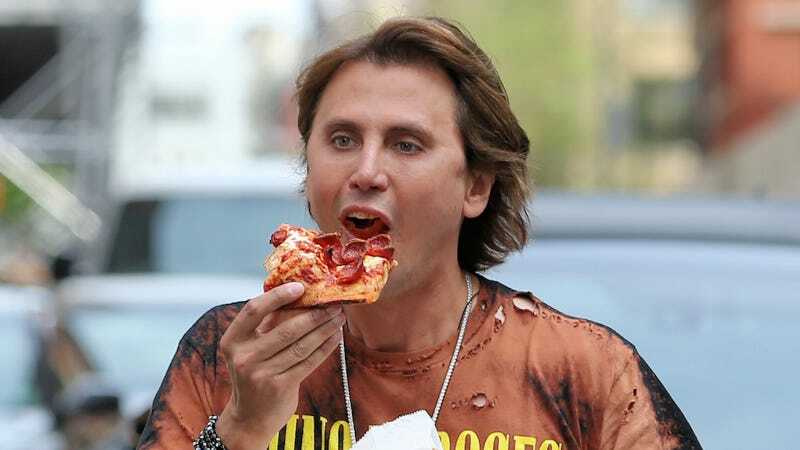 Jonathan Cheban, property of Kim Kardashian and the god of food, either ate parts of his t-shirt or burned his shirt while snatching this pizza slice directly from the oven. He then walked the open streets of New York enjoying his tasty slice of pizza. Have you ever enjoyed a tasty slice pizza on the open streets? Weigh in. Sauce all over ya teeth—pizza never looked so good?